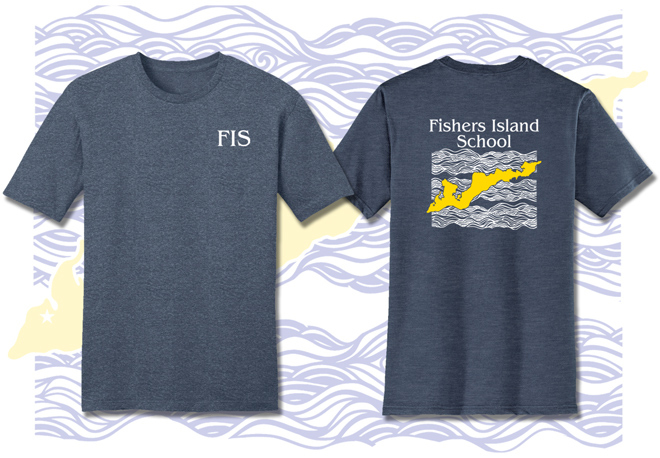 Get Your Fishers Island School T-Shirt! Shirts run true to size and are a 50/50 blend, so they shouldn’t shrink! They’re also a soft, vintage feel! Return Order Form and payment to any 9th grader, Mrs. Mesite, or Karen at the Village Market. Visit Karen at the Village Market and place your t-shirt order with her.